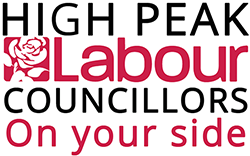 Councillors of the High Peak Labour Group serve on council committees, the role of the main committees, along with the current Labour members is detailed below. Scrutiny committees which consider decisions being made by the council, review and develop policies for the council and scrutinise outside bodies and agencies working in the High Peak. Regulatory committees which consider and make decisions on issues around planning, licensing and regulatory issues. Oversees the audit and corporate governance functions including financial accounts, treasury and risk management and electoral issues. Members: Cllr Fiona Sloman – Vice Chair, Cllr Alan Barrow, Cllr David Kerr, Cllr Jean Todd. Scrutinises areas such as public and private housing, homelessness, parks, sports facilities, arts, grants and benefits to voluntary organisations, community safety, environment (not land use planning) and social inclusion. Co-ordinates the Select Committee Work Programme and scrutinises areas such as the Corporate Plan, finance, performance, asset management, and staffing issues. Has delegated powers from the Full Council to decide on planning applications and planning enforcement. To serve on the Development Control Committee Councillors have to receive specific training which is updated on a regular basis. This Select Committee scrutinises areas such as strategic and neighbourhood planning matters, the Council’s Housing Strategy and tourism-related matters. Deals with licensing matters including taxi and private hire, licences issued under the Licensing Act 2003, Gambling Act 2005 or any subsequent legislation of a similar nature and the issue of new street trading consents. A subcommittee of 3 members deals with any applications. To serve on licensing, councillors have to receive specific training which is updated on a regular basis. Promotes high standards of conduct amongst councillors and considers issues relating to training and financial allowances. Members: Cllr Fiona Sloman – Vice Chair, Cllr Graham Oakley, Cllr Rachael Quinn.